During its current 2019-20 term, this successful legacy project will no doubt be prioritised by the Department of International Relations and Cooperation. But the country faces significant hurdles as champion of the UN-AU partnership on peace and security. 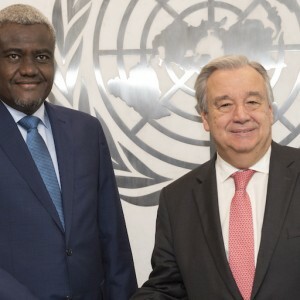 Research by the Institute for Security Studies in New York last month found that the issue has markedly strained relations between the council’s African member states, who rigorously lobbied for the resolution, and the United States, who chiefly opposed it. The implications are a growing scepticism of the UN multilateral system and the global body’s commitment to supporting stability in Africa. During its previous terms on the council, South Africa championed the adoption of the landmark resolutions 1809 (2008) and 2033 (2012) on strengthening cooperation between the UN and regional organisations. These efforts are reflected in the joint 2017 UN-AU Framework for Enhanced Partnership in Peace and Security, which emphasised a more systematic and results-oriented series of engagements. There has been significant progress in carrying out the agreement, but much more needs to be done. Particular aspects must be strengthened, such as joint conflict analyses and harmonising the two organisations’ conflict prevention and peacebuilding doctrines and policies. By focusing on implementation of the 2017 framework agreement, especially at a working (desk-to-desk) level, South Africa could help show tangible outcomes in a relatively short period. The question of financing peace support operations rightly requires prioritisation, but a persistent deadlock on the issue need not bar progress in other areas of the UN-AU partnership. South Africa must be innovative and build on the political capital it gained during its previous terms on the UN Security Council. This article was funded by UK aid from the UK government; however the views expressed do not necessarily reflect the UK government’s official policies.